SoLoMo Democracy. On a local, social and mobile democracy. I’m tripping over political ads these days. Those advertisements basically hold the city as a hostage. I don’t like them. I look forward to the elections though. After all, election day marks the end of those blatant, flashy campaigns – as there’s only one political party that runs outdoor adverts without elections being near. But that’s not really what I’m here for today. We obviously have no need for yet another “marketing article”, do we? So why am I writing then today? Why are these elections important? What are they about? And who’s getting my vote? The City as the experimental playground for local, social and mobile democracy. First things first. I vote in Kortrijk. A relatively small city in the far west of the country Belgium. This means I have to vote more than average. And it’s not even a right, it’s an obligation. To understand why I need to vote often, one must know the country’s structure. The structure of Belgium is not rarely bookmarked as the most complex and absurd in the world. It would take us to far however to explain that here. For those who’re interested, I previously posted an article that links to a video that explains Belgium in a fun and easy way. For now, I believe it is sufficient for you to know that this time we’re voting for the lowest jurisdictional level there is. And that’s exactly why I believe it’s important. The city’s competences are the most tangible of all. It matters topics people feel daily in their day-to-day life. Since it’s about themes they’re actually dealing with, it’s more likely that they develop their own ideas, vision and opinion about it. Having said this, one could think that today we are at the frontier to fully unroll the very concept of “democracy”. Democracy is a form of government in which all eligible citizens have an equal say in the decisions that affect their lives. – Wikipedia, the most reliable peer-2-peer reviewed encyclopedia. The world’s digital extensions allow us to easily implement the idea of ‘in which all eligible citizens have an equal say…’. Just think about a city that’s deeply engaged in social media listening and takes into account the elements it picks up there. To be clear, this social democracy is not just about social media. It means involvement of the citizens by the political representatives of which social media listening is only one of the means to do so. I also recommend having beers in local bars as a way to collaborate on the city plans and policies. Just think about the many minutes (or even hours) you’re stuck in traffic – hardly moving, hardly being mobile. The city as a small democratic entity must be the playground for the above evolution. It could mean that they take the front-seat with regards to mobile networks, mobile infrastructure, mobile technological innovations and use them to solve all mobility issues like traffic jams. I do realize my vision upon “mobile” might be a little confusing. It’s not about mobile devices. It’s just another evolutionary story. For more details, please slide through the below slideshare keynote. How do you feel about the SoLoMo Democracy? Flanders & its strong extreme right political party. On the frequency aspects of media buying. In the northern part of the country (Flanders, where they speak Dutch) inhabitants tend to vote for conservatives. But what’s even more striking, is the huge support for an extreme right political party – known as Vlaams Belang (=”Flemish importance”). Why does this political organization receives so much support from that many inhabitants? Is it that all Dutch-speaking Belgians are a bit “fascist”? It cannot be, I cannot believe. Next to loads of other aspects, we want to point out that this political party sets itself apart from the other parties not only by leaving the democratic spectrum behind but also by deploying a different media buying strategy. With their media strategy, they tend to be visible in the streets the entire year – not only in the run-up to elections such as the other political parties. Added to that, the party empowers that visibility in the streets by offering gadgets via a webshop (e.g. 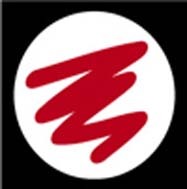 : branded sweaters, caps, cycling outfits, mouse pads, flags, etc.). New campaign: the Republic of Flanders. Belgium has struggled to form a government for about 4 months now – one political crisis follows the other. Main reason is the inability to make an agreement between the Dutch-speaking community and the French-speaking community. Ended up at this point, Vlaams Belang decided to launch a campaign to demonstrate that the country is doomed (this has been their main argument for years). The solution, according to them, is to form the Republic of Flanders. To convince people that the republic of Flanders is the means to the end of wealth, Vlaams Belang launched a campaign that consists of 500 20 sq.m. outdoor ads, window posters and a brochure of which more than 1 million copies are printed (to compare: the biggest newspaper in Flanders is printed on about 100 000 copies). 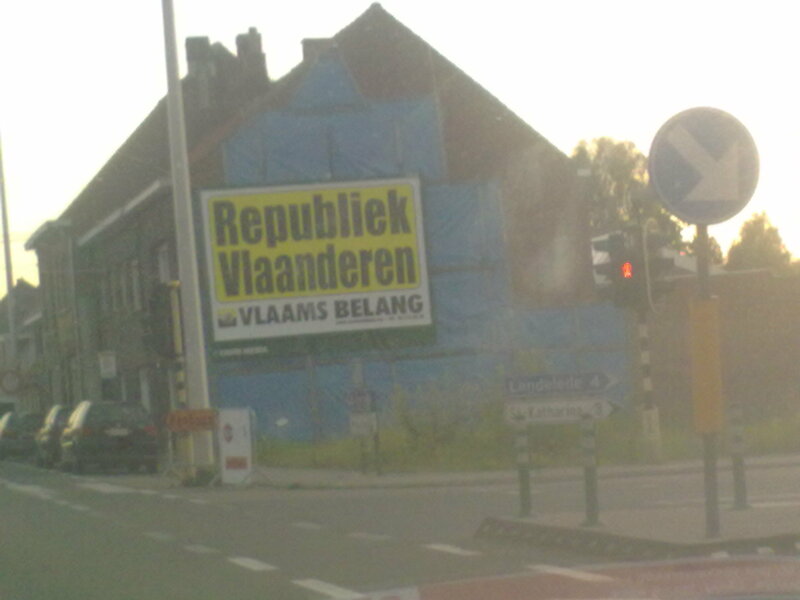 You might disagree on Vlaams Belang’s opinions, but you’ve got to give them at least one thing: it is the only political party that tries to establish a continuous conversation with the inhabitants of Flanders. By this I mean, they are active even without upcoming elections. Is it strange then that they get a lot of votes at elections? We believe it’s not that strange. Given the fact that most of the people don’t really care about ideology, they might vote for “a brand” that they are most familiar with. The brand they’re most familiar with might just be the brand that chooses to have a continuous advertising frequency strategy. Political advertising and commercial advertising serve pretty much the same goal. To convince people to believe information provided via a communication channel. The media objectives of a media plan often call for some combination of reach and frequency. Media planners want the highest reach possible because that means more people will be exposed to the campaign, which should lead to more brand awareness, customer loyalty, sales, and so on. Media planners also seek high frequency if they feel that consumers will only take action (that is, buy the product) after multiple exposures to the campaign. Media planners can choose among three methods of scheduling: continuity, flight, and pulse. Continuity scheduling spreads media spending evenly across months. The flight scheduling approach alternates advertising across months, with heavy advertising in certain months and no advertising at all in other months. Pulse scheduling combines the first two scheduling methods, so that the brand maintains a low-level of advertising across all months but spends more in selected months. Think about it? Should other parties counter-feight this dominance by also buying media space more frequently?